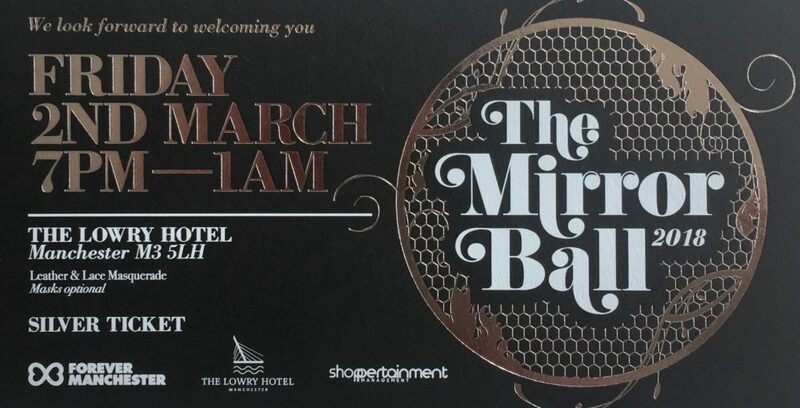 The Mirror Ball returns to the Lowry Hotel on Friday 2nd March, with all proceeds from the night coming to Forever Manchester to help fund and support community activity across Greater Manchester. 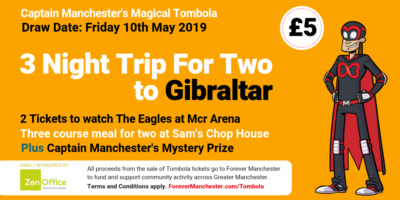 Organised by Forever Manchester Ambassador Andrew Trott-Barn, the Mirror Ball is now in its 8th year and has helped to raise an amazing £400k for Forever Manchester. The event is now SOLD OUT. Prior to the event, Andrew was out and about meeting some of the many community groups that Forever Manchester has helped support, and has created a short film which will be shown on the night. As always there will be a Auction taking place on the night, with some fantastic items available. But we are delighted to open it up to the public beforehand. The online auction website will close at midday on 2nd March 2018. Bidding will resume once the event has started for attendees only. If you are not attending the event we encourage you to use the ‘Maximum Bid’ feature in order to increase your chances of winning auction items.